Season Premiere. Moretti's first day is challenging as the ER is inundated with casualties from the peace rally - including Neela. Dubenko faces a crisis in surgery. Abby, Pratt and Morris conspire about how to deal with a shared problem. A new intern arrives unexpectedly, and Gates is reassigned. Moretti begins to make his presence felt, as he implements changes in the way patients are seen. The ER staff differ on how procedure when a patient comes in with a bullet in him needed as evidence. Neela finds herself the object of more attention that she wants, or needs. Abby had passport woes, and struggles with the changes being made. Pratt and Morris find themselves forced to defend their actions, Hope prepares for a new mission, and Gates finds himself labeled the reject in his new assignment. Two wounded police auxiliary officers present challenges in the ER. Neela settles in with Abby as she recovers, while Pratt and Bettina consider their relationship. 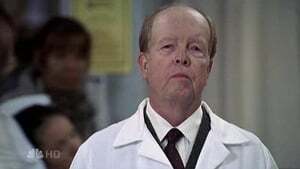 Gates tries to get a patient on a drug trial, with Dubenko's help. And Morris is in a funk that not even a pretty woman can help. Morris and Pratt cram for their medical boards when Morretti brings in a new attending physician to help with the load. Sam and Abby work on an attention-hungry patient who comes into the ER with elusive symptoms. A power outage strikes on an unusually hot day, bringing nursing home patients suffering from hyperthermia to the ER. Abby and Pratt disagree about diagnostic tests for a fussy baby. Morris and Pratt get their board results, and the ER staff celebrates at Ike's. Moretti and Abby's interactions intensify, and Abby finds herself at a dark and frightening crossroads. Everyone at the ER is happily surprised to see Luka back from Croatia. Great news awaits Neela. Sarah once again needs rescuing by Tony, and patients are causing problems for Morris. It's time for changes at the ER when Anspaugh makes an unpopular decision. Abby has old demons to fight with, which distance her from friends and family. Even Luka seems to be at a loss to help Abby. Love is in the air when a secret romance blooms between two doctors. 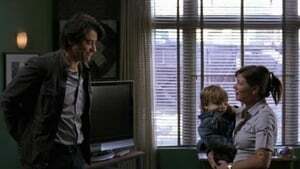 ER's 300th episode finds Luka and Abby hurriedly preparing to travel to Croatia after Luka's father passes away. Luka confronts Abby about the estrangement between them, and she eventually reaches out and asks for his help. A man rushes to the ER when his wife is seriously injured in a car accident, and finds someone very unexpected there with her. Julia holds a service to bless the ER and remember the patients that have been lost through the years. After being passed over for Chief of the ER, Pratt is looking for a hospital that will appreciate his talents. A former employee of the ER brings her sick son in for tests. Neela's cousin is in town for a visit, and Morris and Harold compete for her affections. Abby is back from rehab and finds herself the object of scrutiny. She confesses to Pratt that Luka might stay in Croatia longer than planned. Harold seems to have won over Neela's cousin. Multiple victims from a fire fill the ER. Neela's short visit in Ortho turns into a game of hockey. Bettina wants to take her relationship with Pratt to the next level, but Pratt is not keen on the idea. 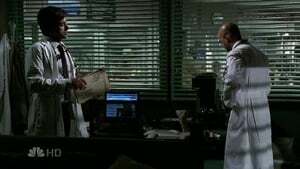 Gates and Sam disagree over a patient. Julia provides some spiritual guidance in order to ease a prison doctor's bad conscience. Pratt and a new doctor on the scene disagree on how to teach the interns. Gates treats a young woman with serious heart problems. Abby heads to Croatia, and ponders whether and how to tell Luka about her unfortunate choices. Sam discovers that Julia has moved on in more ways than one. Neela, worn out after being on shift for over 24 hours, has to make a quick decision regarding an accident victim's torn aorta. Sarah's grandparents are in town, and Hank is rushed to the ER after collapsing during an outing. Gates tries to convey to Sam that his feelings for her are serious. Kovac is in Chicago looking for hospice-care work. Neela's aorta surgery has caused an infection in her patient. Abby treats a teen who has been beaten up. Brenner continues to cause problems for the ER staff. There's been a jewelry robbery in town, and Neela finds out that one of her patients might have had something to do with it. Pratt makes an effort to save his relationship with Bettina, and Abby worries about her marriage, sensing that Luka may have given up on it. Neela's aortic rupture patient is in need of yet another follow up surgery, and they are starting to take a toll on her. Morris talks with a shrink about his experience with the jewelery thieves. Abby needs to make a tough decision when a new opportunity is presented to her. 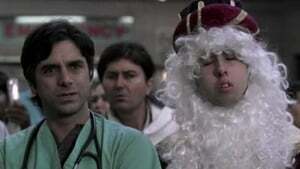 Season Finale: When a drunk patient is admitted to the ER, his actions endanger everyone at County. 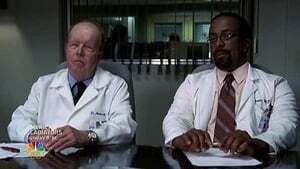 Pratt is still pursuing his dreams of becoming Chief of the ER, and Gates is worried about his future with Sam. Luka unexpectedly runs into Dr. Moretti.